Word Faith prosperity preachers like T.D. Jakes and Joel Osteen slither closer to your mainstream evangelical church. For example, Apprising Ministries has told you Jakes was mainstreamed in Elephant Room 2. Therefore, this becomes relevant: Elephant Room 2’S T.D. Jakes Says TBN’S Paul Crouch Led By God To Launch Jakes’ Ministry. And ER2’s prophet-pastor Steven Furtick Calls Joel Osteen Great Man Of God. Earlier, in Beth Moore To Speak For Hillsong Church I told you that notorious Word Faith heretic Creflo Dollar’s been on Life Today TV with James Robison a few times this year. Moore’s on that program every Wednesday. Dollar’s actually a lot closer to fleecing contemporary evangelical flocks than you may know. 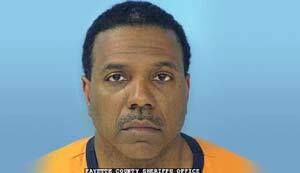 That’s why I covered Word Faith Heretic Creflo Dollar Arrested For Battery And Cruelty. I had fully intended to leave it at that. “I will say this emphatically: I should have never been arrested,” Dollar said in his first public appearance two days after police charged him with misdemeanor counts of simple battery and cruelty to children. The pastor got an enthusiastic ovation from the packed church as he took the pulpit Sunday at the World Changers Church International in metro Atlanta. He addressed the criminal charges head-on for several minutes before moving on to his sermon. A police report says the girl told a deputy her father charged at her, put his hands around her throat, began to punch her and started hitting her with his shoe. The deputy noted a scratch on her neck. He said the mark on his daughter’s neck had been there for about 10 years and was caused by a skin condition, eczema. Dollar’s 15-year-old daughter is the one who called authorities and told them her father punched and choked her. Her 19-year-old sister corroborated the story. But Dollar didn’t publicly display any anger toward his children. “I will never put any fault on my children, as Jesus would never put any fault on me,” he said.